What Do You Do With a Bad idea? Five minutes was about up and I went to the stairs to claim Jack from yet another time-out. We sat together and talked about his behavior. I was about to bring his new Christmas book into the conversation until I realized it was potentially misleading. Have you seen either of these books? Problem and Idea? We were having both a problem and an idea, in fact we were having a problem with an idea. The beautifully written and illustrated idea book connotes that all ideas are good, cute and colorful and full of sunshiny possibilities. But, as I sat in time-out with my child, I noted all ideas are not good ideas. 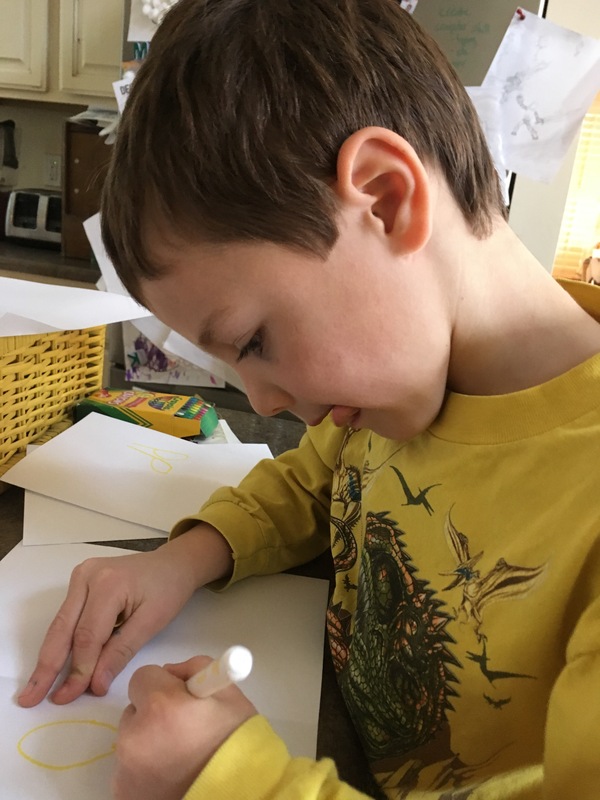 Jack and I concluded that another book needed to be written called “What do you do with a bad idea?” We talked about getting rid of bad ideas fast and replacing them with good ideas. Then, we went to the drawing board. This is what he came up with. He kicks him (the bad idea), punches him, then his crown falls off and he’s dead. He’s dead. His crown poked him and it shows him mad when he’s dead. Now it shows me with a good idea. It shows me blink the right eye and do a thumbs up on the left hand. And then it shows me petting my dog. The plan is that he will read it when he needs to remember what to do with a bad idea- perhaps reading material for the next time-out! I felt grateful that even through my frustration, I was inspired to recognize a teaching moment and then figure out what to do with it. I don’t remember what else I did that day, but this mattered and this happened. Taking the time, that was a good idea.